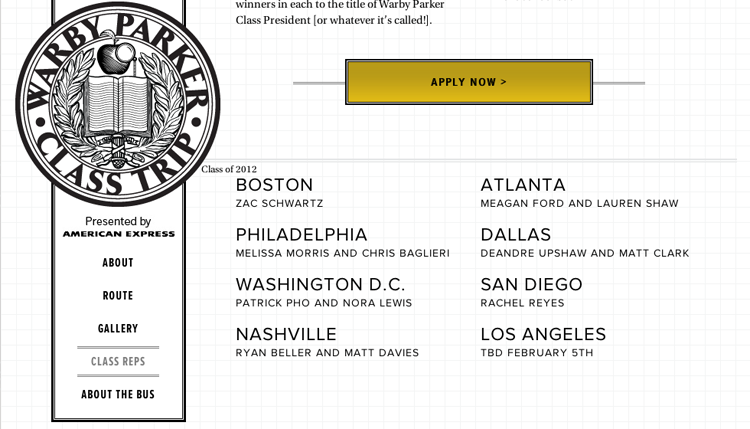 I am so excited to be elected as the Warby Parker Class Rep for San Diego! This is one of the most charitable companies I know and I am so proud to advocate for them in my city. If you don't already know, Warby Parker is an eyewear company that for every pair of glasses sold, a pair is given to someone in need. Almost one billion people worldwide lack access to glasses and Warby Parker is making it possible for them to see by partnering with non-profits to make it happen. Their glasses start as low as $95 and not only are they affordable, they're great quality and stylish! On top of all of that, Warby Parker defines customer service. 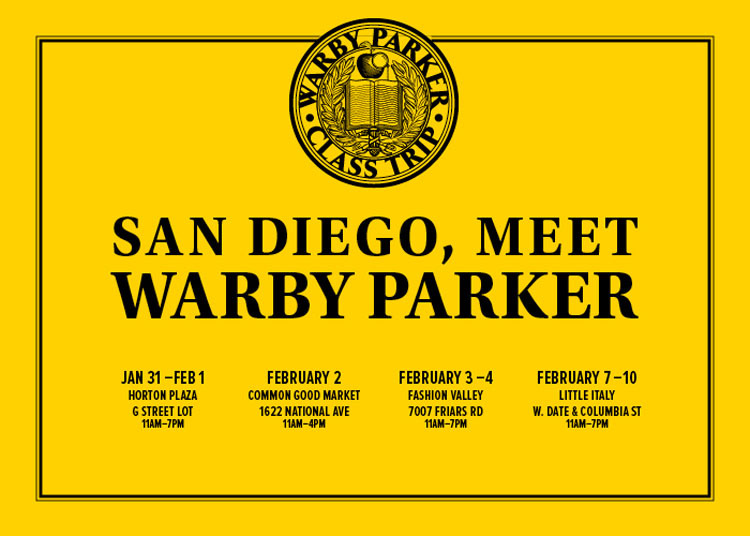 So if you live in San Diego, be sure to come out to the locations below and try on some glasses at the Warby Parker bus! 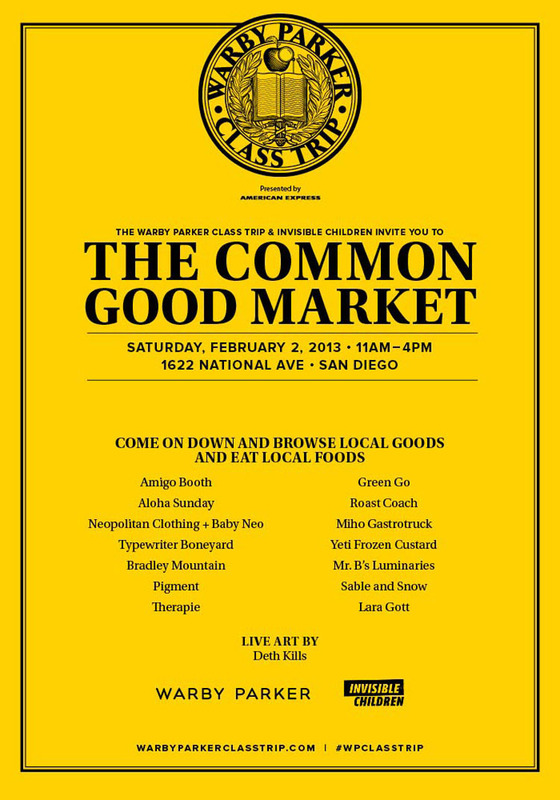 Invisible Children alongside Warby Parker will be hosting an event tomorrow at the Common Goods Market from 11 AM-4 PM. Come down for some local goods, food, and of course, to shop for some classy glasses! Hope to see you guys there!